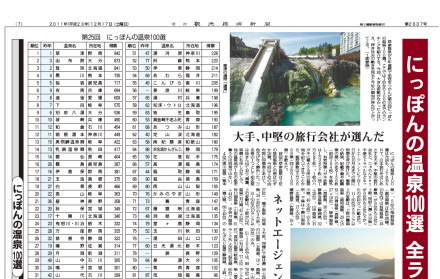 The Japanese Onsen Ranking (にっぽんの温泉１００選） has been announced by Kankokeizai News Corporation. Kusatsu Onsen has been ranked as No.1 in this ranking. The details of the ranking of Kusatsu Onsen are the following.